Take your fundraising to the next level by promoting your participation in My Own Fundraiser with your online communities of friends and family! Click on the social media icon below to find content to help get you started! I’m supporting Heart & Stroke by creating my own fundraiser called: [Event Name]. I’m going to work hard to raise funds to support breakthrough research. Heart & Stroke needs our help now more than ever because heart disease and stroke takes one Canadian life every seven minutes and is the #1 killer of women globally. The funds we raise will ensure life-saving research continues. I am fundraising to help push this research forward and hope you’ll support my event with a donation. Tell all of your email contacts that you support Heart & Stroke. Add the message below to your email signature to boost your fundraising. Remember to add your personal fundraising link so people can go directly to your page. Need Help? Facebook is your virtual bulletin board! Keep your Facebook community updated with your progress by sharing your event highlights, photos and fundraising goals. Don’t forget to tag us in your posts (@heartandstroke) along with our hashtag, #MoreMoments. Use your Facebook account to post key event information and promote your event. 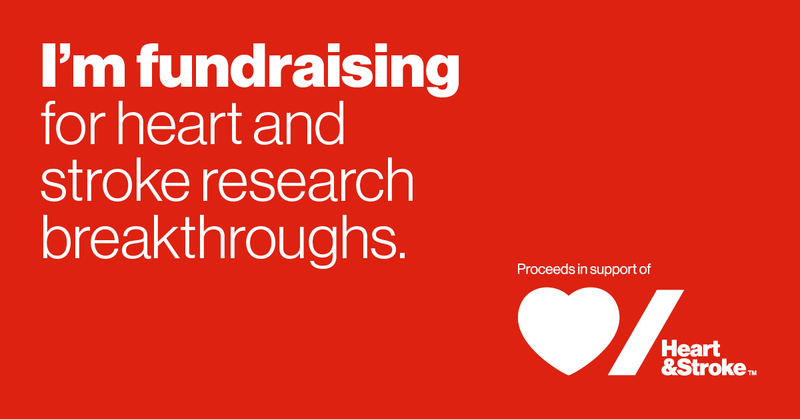 I am fundraising for @HeartandStroke to help invest in the next medical breakthrough. My goal is [$XXXX] because I want to help create #MoreMoments for all Canadians. Please help me reach my goal by donating on my personal fundraising page [insert your personal fundraising page link here]. A ‘Thank You’ post to your family and friends is always a nice touch to provide a recap of your fundraising journey. You can either send individuals a unique thank-you note or create a generic post or tag all those who helped you reach your goal in the post. Show your pride by replacing your Cover photo or create a post with one of these. Note: The image will open in a new tab. To download it, simply right click on the image and save to your desired location. Twitter is the place to find out what's happening right now. It is a quick and easy tool for promoting your fundraiser to your social community as well as Heart & Stroke (@TheHSF). In 140 characters or less, you can share your fundraising journey. Tweet directly from your event or simply send quick updates on your goals. Below are a few tweets to get you started. Copy and paste to Twitter with an image and your personal fundraising page link. 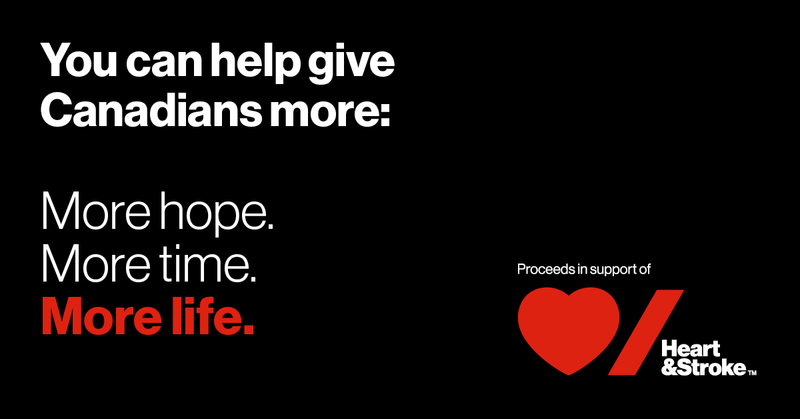 Don’t forget to tag @TheHSF in your tweets along with the hashtag, #MoreMoments. We want to see your progress and promote your goals! Show your pride by replacing your Twitter photo with one of these. LinkedIn will allow you to promote your fundraising goals with your professional network! We suggest an introductory post and then one later in the month highlighting your progress with a last call for donations. If you really want to highlight your participation to your network, you can change your Header Image to one of the options provided below. I am halfway to my fundraising goal of [$XXXX]. 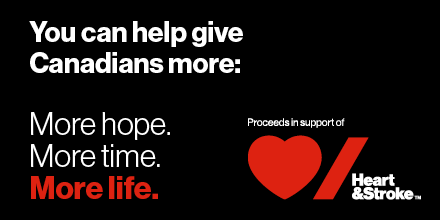 I hope you’ll help me fund life-saving research and contribute to the 2020 goal of reducing Canadians’ rate of death from heart disease and stroke by 25%. Show your pride by replacing your LinkedIn photos with one of these. Instagram is a visual platform, catching attention from your followers with strong images and videos. Use it to build interest amongst your friends and family by sharing visuals of your event preparation. 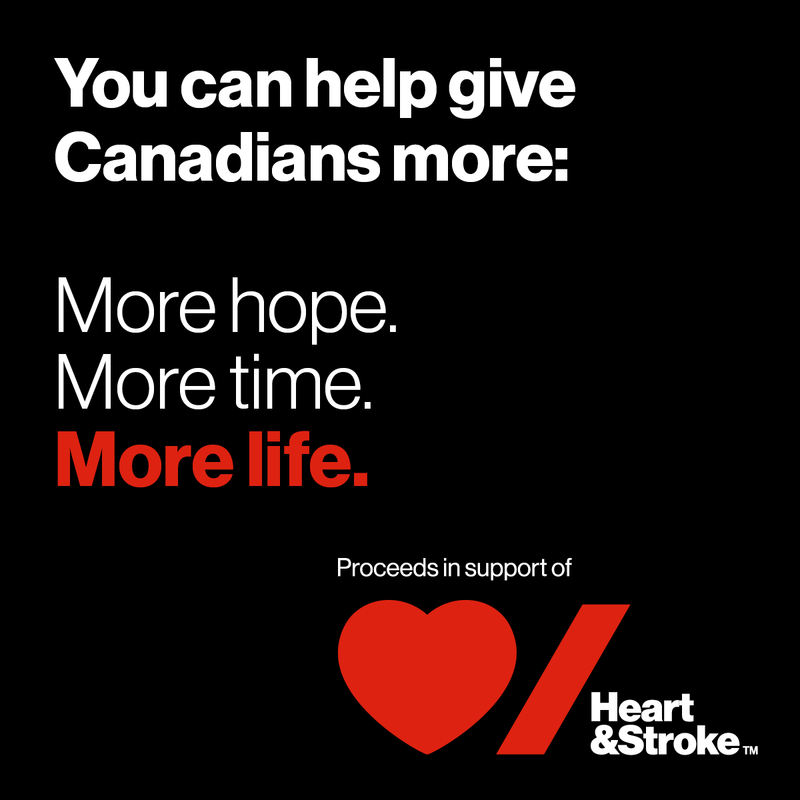 You can also share the #MoreMoments message of Heart & Stroke (@thehsf) by highlighting everyday moments that drive you to raise funds for life-saving research. Show your pride by replacing your Instagram photos with one of these.